No longer is cannabidiol, the non-psychoactive cannabinoid within cannabis plants, thought of as a dangerous substance. The benefits of CBD are now known by far more people than ever before, thanks primarily to recent legalization efforts. CBD is now taken in a variety of different methods, most commonly with CBD oil or through smoking a CBD-rich strain of marijuana. However, CBD is actually available in the same way that traditional medicines are: Capsules. Though it might seem overly medicinal, CBD capsules are a great way to ingest CBD without the detriments of other methods, while also being able to take it a convenient manner. So, to help you in your journey towards taking CBD capsules, here are the best 5 CBD capsules available, ranked in order by their potency. Firstly though… What exactly are CBD Capsules? What Exactly are CBD Capsules? CBD capsules are a way to consume the cannabinoid CBD without having to take a CBD oil. To briefly explain CBD, it is a substance that exists in cannabis which interacts with the endocannabinoid system (ECS) in the human body. This is a health system that helps a variety of different functions, including aiding in cellular regeneration and the release of helpful hormones within the brain. The ECS is triggered by its two primary receptors, the CB1 and CB2 receptors. These are the same receptors triggered by the THC within cannabis that would normally get you high. However, with CBD, the cannabinoid does not attach itself directly to the receptors, meaning that the intensity of the reaction isn’t as severe. Essentially, THC gets you high through over-stimulation of these receptors, whereas CBD is much gentler in the way it activates them, ensuring you don’t get high. People use CBD to help treat a variety of different conditions, as it interacts with so many different functions of the human body through the ECS. For example, CBD can be used to help encourage healthy cell regeneration in the case of degenerative disorders like Parkinson’s disease, or even just eczema. In the latter case, CBD works to ensure the skin produces healthy skin cells to replace the dead or decaying ones on the surface of the skin. Additionally, CBD reduces the inflammation response, encouraging the inflamed portion of tissue to calm down and stop creating pain. CBD is surprising in how many conditions it can help treat, so it makes sense that there are so many people interested in taking it for medicinal purposes. However, why would you want to take CBD capsules instead of any other method? 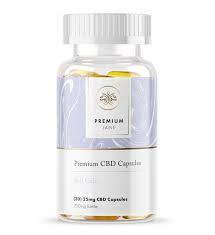 CBD capsules are a relatively new thing in the CBD market; previously, CBD was procured through an extraction process, suspending it in inert oils so as to create CBD oil. This was done because of the ease of extracting CBD through superheated CO2, a method that is much cheaper than other forms of extraction used to create other products. Additionally, people would use CBD dabs or even, if they didn’t mind smoking something, simply smoke a CBD rich strain of marijuana. However, each of these other methods of consuming CBD has its own drawbacks. Smoking is, quite obviously, not a very good habit, even if it doesn’t have nicotine or tar from tobacco or doesn’t get you high. This is because inhaling any kind of acrid, hot smoke isn’t good for your lungs. Alongside that, smoking is becoming less fashionable or acceptable, meaning you might find yourself being judged by those around you for smoking. In the case of CBD oil, it’s very simple why some people prefer to avoid it; it tastes awful. As CBD oil is nothing more than CBD extract in inert oil – usually hemp oil – there’s nothing to stop the awful taste of both the oil and the CBD from hitting your tongue. Despite its established medicinal uses, CBD oil tastes absolutely ghastly. This is because of the significant bitterness of the cannabinoids, as well as the flavor of hemp oil which is usually used to suspend the CBD. Using CBD capsules, you can avoid this taste by simply swallowing the pill and getting the CBD into your system more easily. At long last, here are the 5 best CBD capsules, ranked by potency, to make your search for a taste-free experience that much easier. Jacob Hooy, recognizable to anyone that shops at Holland and Barrett, is a European producer of CBD capsules. They offer a variety of different CBD products but specialize in their 10mg, low dose CBD capsule. Jacob Hooy’s Capsule is entirely vegetarian, containing a few gastric acid-resistant additives to ensure the pill doesn’t cause an upset stomach, Hypromellose and Gellan Gum. Though proponents of pure CBD might have some problems with the additives, this is a great option if you’re looking for a decently priced, low dosed CBD capsule that you can take with you on the go. 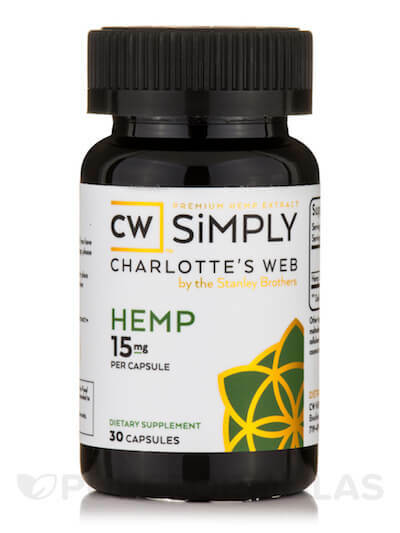 CW Hemp, which stands for Charlotte’s Web, is a Coloradan company that produces the extremely well known variety of CBD rich cannabis, Charlotte’s Web. This strain became famous due to its use in treating Charlotte Figi, the little girl suffering from Dravet Syndrome who went from 300 grand mal seizures a month to only 2 or 3, all thanks to CBD oil. CW Hemp capsules are only 15mg, offering a lighter dose than some other brands, but allowing for an ease of use that many brands don’t have, as they are also a useful nutritional supplement. Alongside the typical CBD, they advertise themselves as a full spectrum CBD oil alternative, meaning they contain a variety of terpenes and other cannabinoids found within the cannabis plant, as well as a few other flavonoids to make the pill a bit easier to swallow. CW Hemp have recently begun selling their capsules in ‘Extra Strength’ variety, where the capsules contain 35 mg of CBD. However, their specialty has always been these slightly weaker, more child-friendly doses. 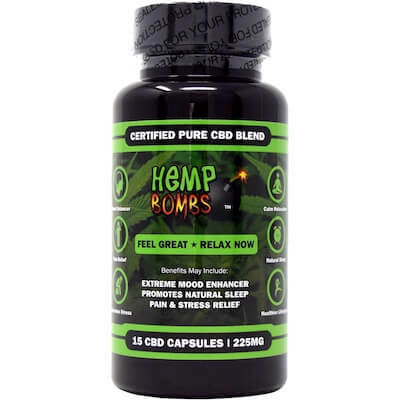 Hemp Bombs is a great example of the marketing potential of different CBD products; they feature bold, explosive packaging – literally, it’s an old naval-style bomb – and a huge variety of different products. They sell their CBD Capsules in either 15 mg or 25 mg dosages, but they primarily offer a different number of pills per bottle. This allows you to make bulk savings through buying larger quantities of the capsules, or to buy only a few capsules so you can try them out and see if you like them. With a lot of really helpful information, such as what conditions they can help treat and the best dosage required to treat those conditions, Hemp Bombs is also a site that helps educate you about CBD and its benefits. For a nice variety in different CBD Capsule amounts, Hemp Bombs is there to make sure you get precisely the number of capsules that you need. A slightly newer product on the market, Premium Jane is a traditional cannabis store that has branched out to soft gel CBD Capsules. Premium Jane offer the standard CBD products, but at a slightly more affordable price than other alternatives, especially as they’re frequently discounted. Additionally, Premium Jane offer their capsules in 25 mg, which is considered a slightly higher than average dose, ideal for those that have already tried other CBD products but are looking for something a bit stronger. A word of caution, however; as they sell their CBD Capsules in soft gel capsules, different from traditional sugar pill coverings, they have a worrying tendency to melt if shipped in hot temperatures. Premium Jane do in fact warn you of this very readily, recommending that if you live in a hot climate or it is an especially hot time of year, to instead try some of their CBD Oils. Assuming you don’t live in the blistering heat, Premium Jane is a great way to get high quality CBD capsules at an affordable price and a slightly larger than normal dose. This is the big one – 100 mg of pure CBD. Though extremely expensive at roughly $200 a bottle for 30 pills, Highland Pharms offers 100mg of CBD in convenient, sugar pill capsule form, allowing you to get a massive dose of CBD wherever you are. They do offer a whole range of different CBD concentrations, including 15 mg, 25 mg, and 50 mg, but this is their prime product; a huge dose of CBD for those that desperately need more CBD than is usually available on the market. Additionally, like all good CBD Capsules, Highland Pharms is full spectrum, offering all the other varieties of cannabinoids and terpenes available in cannabis. Consider Highland Pharms for when your doctor recommends that you need a huge dose of CBD to help treat your condition.